At least 130 megabytes (MB) of available space. 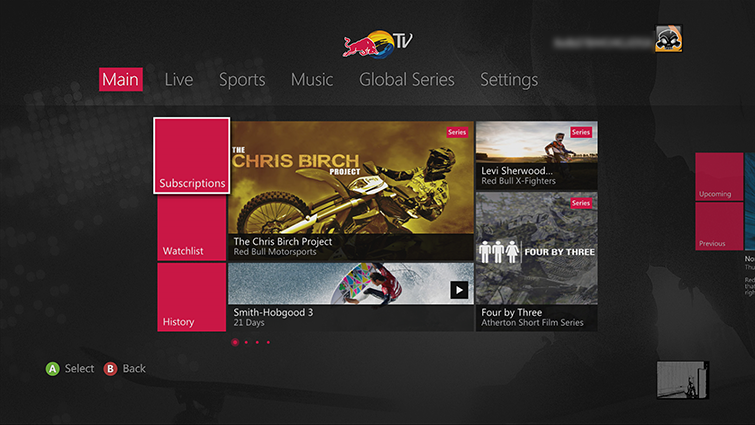 Browse or search for the Red Bull TV app. 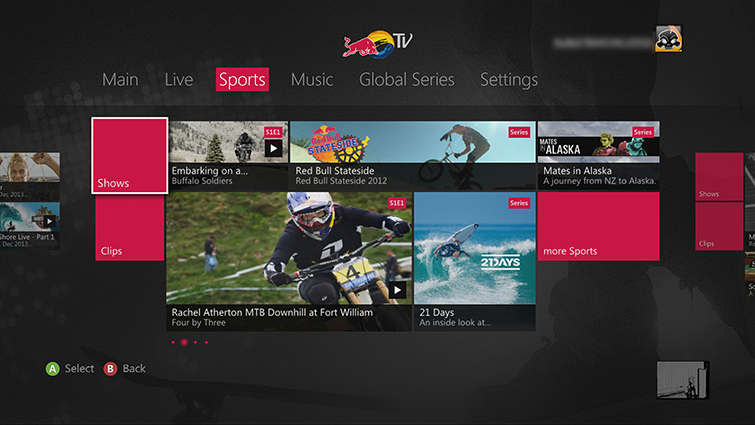 Select the Red Bull TV app, and then select Download. To start the Red Bull TV app later, go to my apps and then select Red Bull TV. From the Main hub, you can choose to watch content from your Subscriptions or Watchlist, or re-watch content from your History. 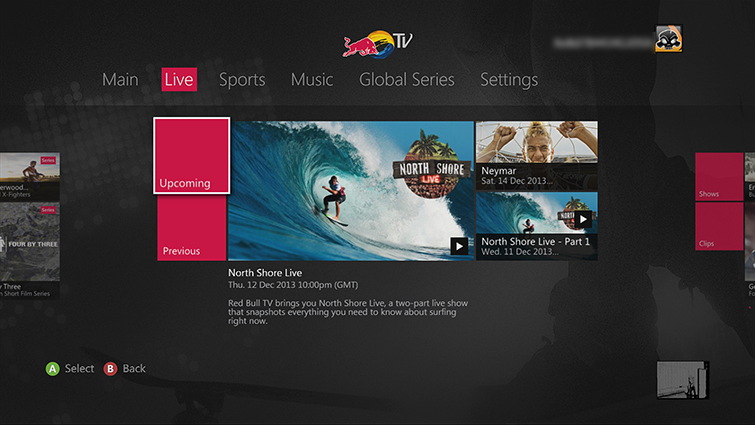 On the Live hub, you can take a look at upcoming events. 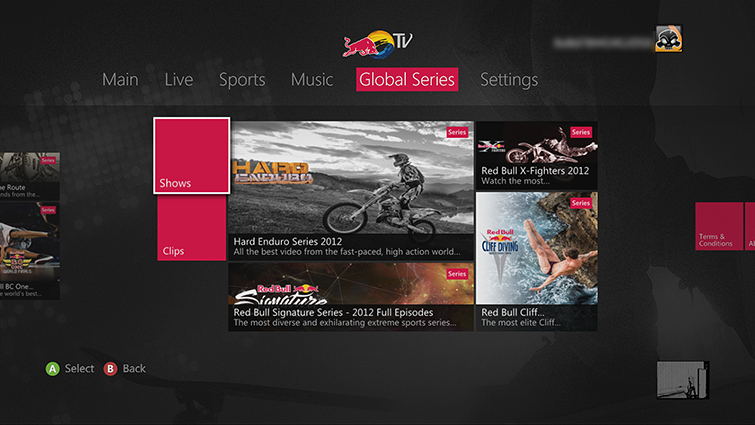 From the Sports, Music and Global Series hubs, you can browse action-adventure shows and video clips. Select a programme to watch, and then select Play. 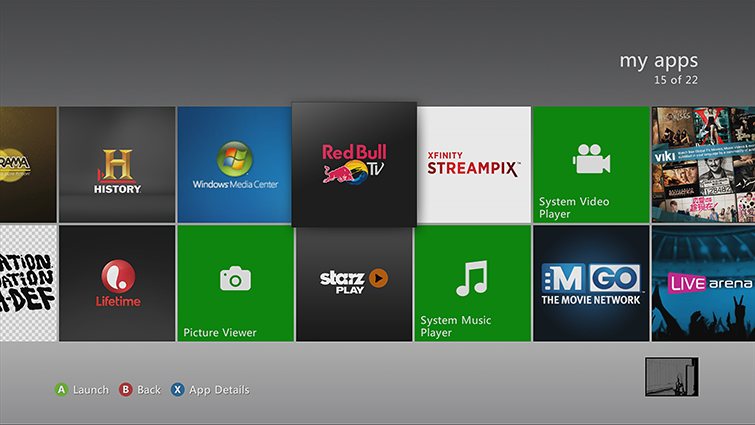 If you use Family Settings to control the content that can be watched through Xbox Live on your console, the Red Bull TV app will follow those settings. For example, if you use parental controls to restrict access to some kinds of TV programs, those programs will be marked with a "restricted" icon in the Red Bull TV app. To play a restricted item, an adult must enter the Family Settings pass code. 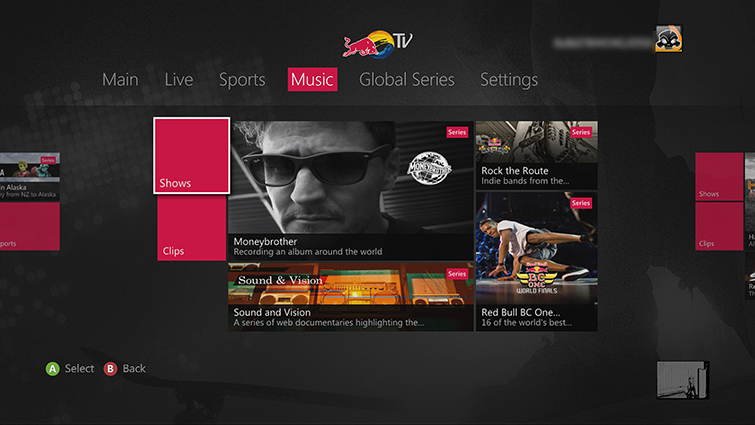 Would you like to contact Support regarding the "Set up and use the Red Bull TV app on Xbox 360" issue you were reading about or a different issue?